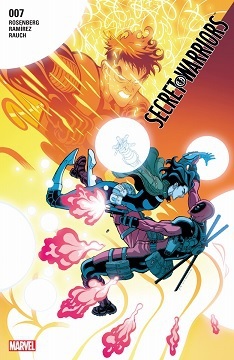 The Secret Warriors are back (sort of)! 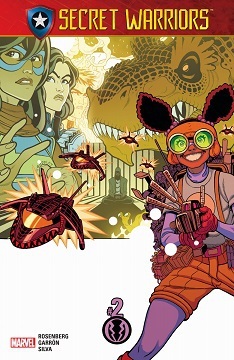 Marvel's announced a new Secret Warriors series, by Matthew Rosenberg and Javier Garron. 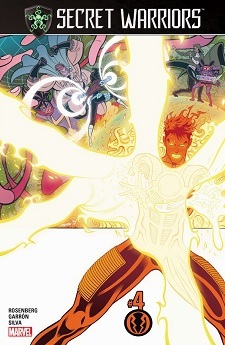 I confess, the raving love on the other boards for this title had me curious, as I had dropped out after a certain villain killed a certain hero. Boy was I wrong on my decision to drop this. I've been scouring the web looking for more details as to what I missed, and am still filling in the gaps of knowledge. Secrets shall be revealed. But in the meantime, one last strike. Bits of #24 behind the cut. 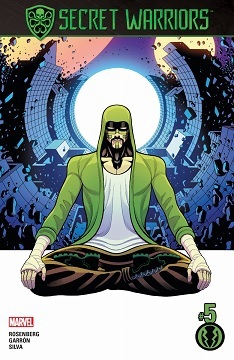 Now, I originally WAS going to tie this in with #25 that is also out, but there are so many SPOILERS for upcoming issues of other titles involved that it's best not to, as this series is about to wrap up. 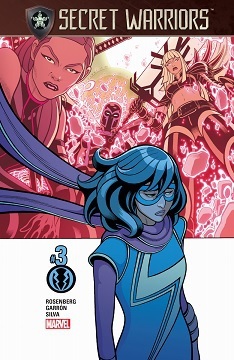 Four scans from Siege: Secret Warriors #1, the final of the five "Battlefields" one-shots. 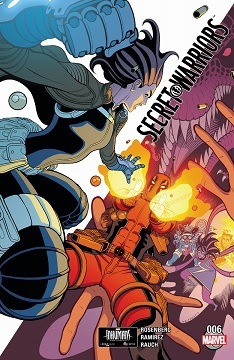 Readers of Marvel's SECRET WARRIORS title know that Jonathan Hickman has created a few new characters, including a new member of HYDRA's ruling council, a cross between Starro & Davy Jones (from the POTC movies) called the Hive, who speaks in an unknown language. But did you know his dialogue is actually English? A couple of weeks ago, I puzzled out most of it. God l love that epic stuff. 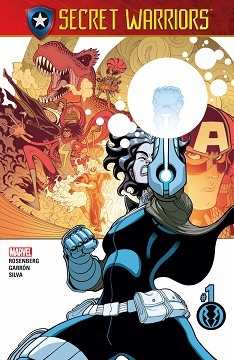 CBR has the preview of #10, and we see that the Ares mini has truly become canon, and we shall see how it affects the Secret Warriors. Two preview images behind the cut.